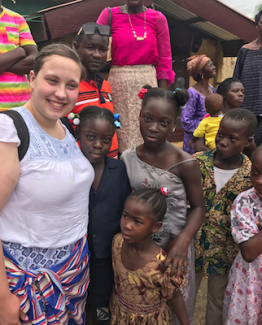 Newman students Khoi Nguyen and Erin Schueller recently returned home from a pilgrimage to Liberia in commemoration of the 25th anniversary of the five Martyrs of Charity — Adorers of the Blood of Christ (ASC) — who lost their lives in Liberia fulfilling mission work. Among these five were Sisters Barbara Ann Muttra, Mary Joel Kolmer, Kathleen McGuire, Agnes Mueller and Shirley Kolmer. 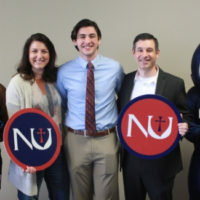 Associate Vice President for Academic Affairs Rosemary Niedens reached out to ASC Scholars Nguyen and Schueller about the trip, which took place from May 11-20. Each student received a letter that stated they were selected as a candidate for the trip, then submitted their own letters explaining why they wanted to go on the pilgrimage. Schueller poses for a picture with a group of children in Liberia. 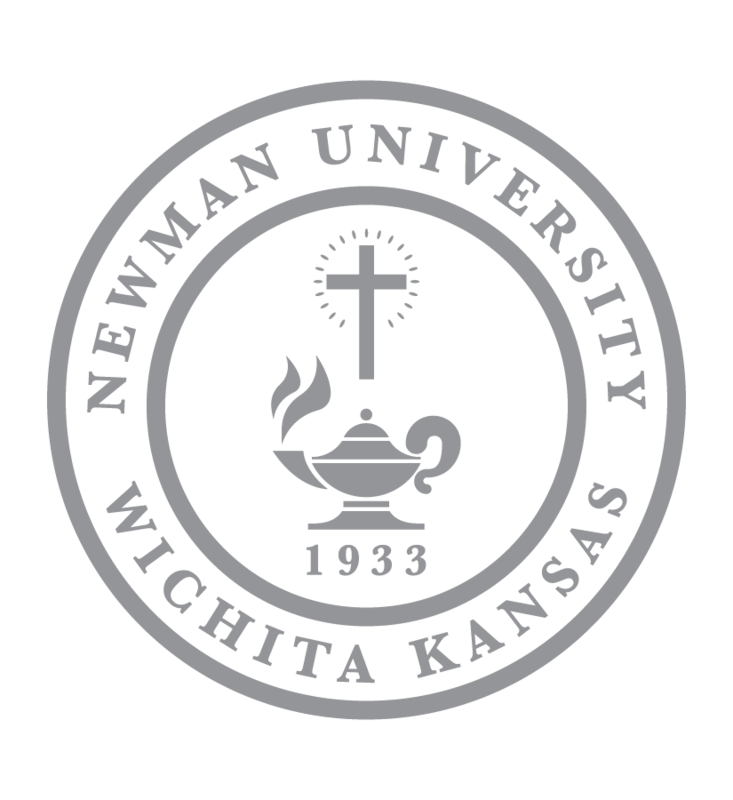 The students received their acceptance letters a few months before the trip took place. They scrambled to complete their final papers and exams when the semester drew to a close and headed for Liberia soon after. The students flew to Atlanta, Ga., met up with a few other travelers and made their journey to Amsterdam, Netherlands. 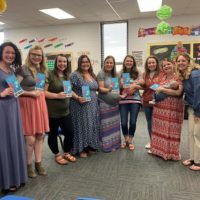 “There was not a whole lot of time to process, but I am glad I didn’t have many expectations before going because it made everything a little surprise,” Schueller said. While in Liberia, Nguyen and Schueller were accompanied by ASC Sisters Raphael Ann Drone, Rachel Lawler and Therese Wetta, along with Associates Donna Luetters and Juanita Mason-Fegley. The women celebrated daily mass on each of the nine days and ended each night with a collective prayer. They visited the places where the Martyrs of Charity worked, lived and were killed, as well as the clinics and schools that were named after them. 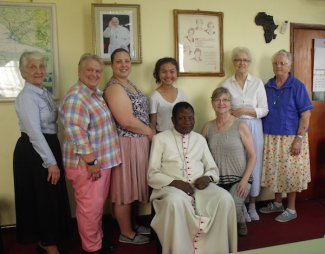 The small group of women had lunch with the Archbishop of Monrovia, the capital city of Liberia, and visited two parishes. Here they had the opportunity to greet and speak with parishioners, and even participated in a radio show for a Catholic radio station. 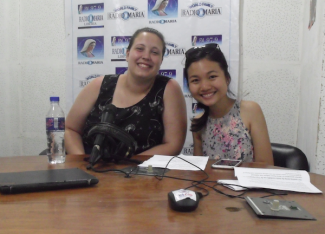 Schueller and Nguyen participated in an hour-long radio talk show that focuses on justice and peace. “Nobody knew that Khoi and Erin would be participating in the radio show before we got there,” Wetta said. “The priest who was our host and driver also happened to be a radio show host. His show focuses on justice and peace, and he was interested in hearing their input on Khoi’s Partnership for Global Justice experience that took place last June. Nguyen recalls what it was like to go shopping at a market in Monrovia. 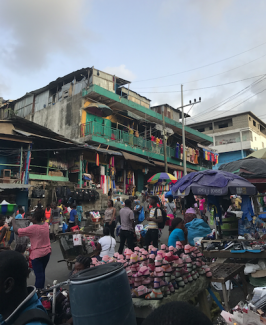 The streets of Monrovia, Liberia are filled with markets, but even more filled with people, Nguyen said. While the trip was a wonderful opportunity, it still came with its fair share of challenges, Nguyen said. The women had to be extremely careful with what they ate and drank and brushed their teeth with bottled water since the water could be contaminated. Each day began at 7:30 a.m. and some days the women would not get home until 7 p.m. Nguyen said that communication with family and close friends also posed as a problem at times because they did not have access to the internet very often. Nguyen said she was also thankful to have gotten to know Schueller better over the course of the pilgrimage. The two overcame stomachaches, shared bug spray and shared the back seat of Father Firmin’s car together. 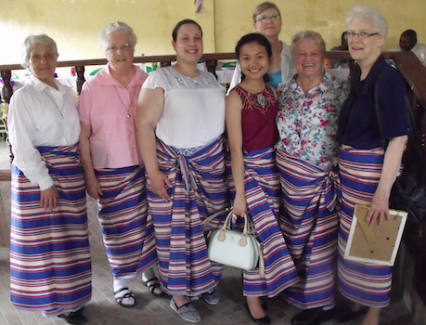 “I also learned a great deal about the culture thanks to Sr. Raphael Ann and Sr. Rachel, who are very knowledgeable about Liberia since they spent a number of years there,” Nguyen said. “Sr. Raphael Ann has a special sense of humor and always cheered me up when I felt tired. Donna and Juanita inspired me with their desire to learn about the Martyrs of Charity and Catholicism. The pilgrimage group had the opportunity to eat lunch and chat with the Archbishop of Monrovia, Liberia. Schueller said that she, too, is more grateful for the simple luxuries we have, such as clean running water, constant electricity and a variety of foods. In Liberia, Schueller explains, beef is considered a rich man’s food because cows are too expensive to raise. Water is scarce and mainly comes from wells which are unclean, so when people brush their teeth, they have to use bottled water. To take a shower, they must fill a bucket. Electricity is not readily available and if there is some it comes from a generator which runs on gasoline, so it is not turned on often. 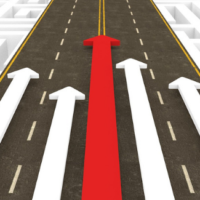 Schueller also explained that roads that should take a few minutes to drive on take more than 20 minutes due to potholes, which can be as deep as the vehicle itself and have very sharp drops. This, in turn, ruins vehicles in half the time and many do not get repaired because it is simply too expensive. “But despite all of this,” Schueller says, “people of Liberia are so content with their lives and the simplicity of it. We got to see how the five sisters touched each person’s life and sadly how they were taken too soon from them. Talking about their memories almost brought tears to their eyes, yet they knew life got better and things were simple. Nguyen and Schueller said that the people they met were genuinely welcoming to them, and the sisters, and that they were constantly greeted with smiles. 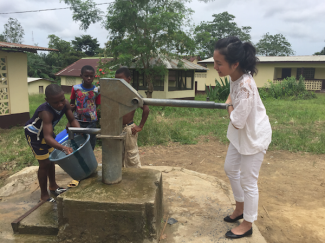 Nguyen fills a bucket with water as she tries her hand at the water pump. Nguyen and Schueller also met with Liberia Coordinating Mechanism Vice Chair Sr. Barbara Brilliant, who is involved with eradicating HIV/AIDS, Malaria, and TB in Liberia. 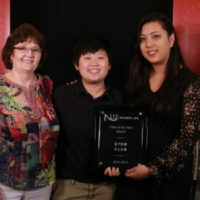 Nguyen also hopes to one day work in the field of public health. Schueller said that, even though life is hard in Liberia, it was an eye-opening and inspiring experience for her to be a part of. Wetta said that the trip was both a blessing and a challenge and that her takeaway was seeing the gratitude and awe that people had for the Martyrs of Charity.